The next day, Friday ended up being a very windy day and posed multiple challenges to work on outdoor spaces. We had two outdoor events planned, the Catholic ceremony on the beach and the dinner reception at the Agua Pool Deck with fireworks and then moving on to the Agua Bar for an afterparty. Access to the beach was 11 am and our partners set to work right at that hour. Our color for the ceremony was all white with hints of blush to compliment the bridesmaids gowns. 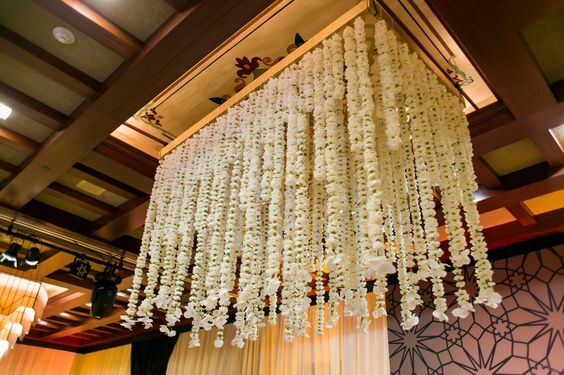 A simple and elegant structure was erected and embellished by Elena Damy. The adjoining cocktail area had all white furniture and existing cabanas were dressed in blush and white drapes. Each cabana had a sitting area of white lounge vignette. There were tons of white candles atop tables and steps were lined with white ceramic lanterns in different sizes. Lighting had been installed the night before to ensure smooth transition to the reception site as well as create a lovely mood. The guests were welcomed by an acoustic guitarist playing lovely tunes. 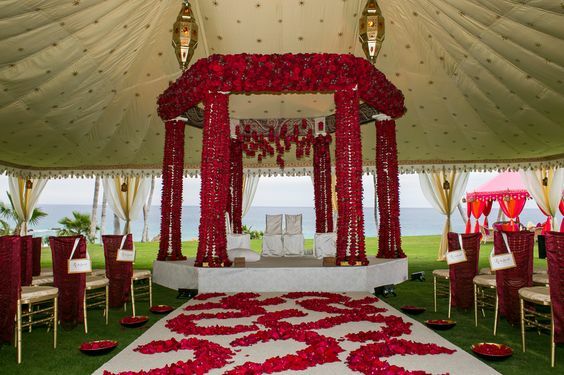 A large mirror in white frame bearing ceremony program in hand calligraphy was the first visual as guests entered the ceremony space. They were also offered to slip out of their shoes and don flip flops. Parasols were provided for the ones who preferred shade. The bride had also provided lovely ribbons in blush to use at recessional. Each sign was hand painted in blush on white board to create a cohesive look. 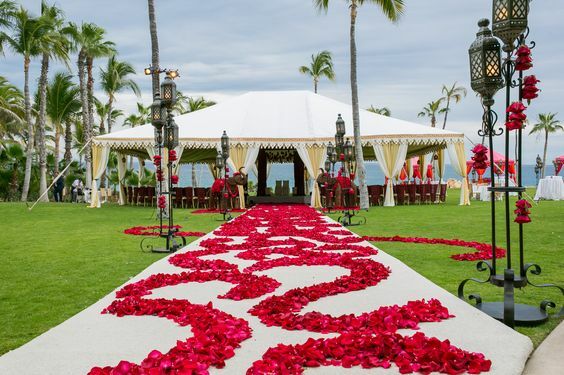 After the ceremony, guests moved to the cocktail area where a quartet entertained them and they were served a blush Mexican drink. The couple had opted to take this time to take some photos. The guestbook sat atop a table with small envelopes and cards for guests to write special messages for the couple. 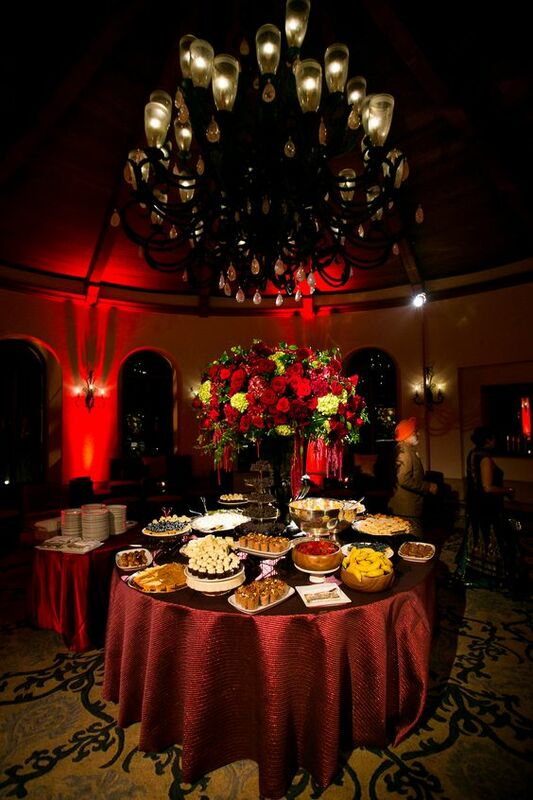 Lot of guests decided to take a stroll on the beach while others enjoyed delectable hors d' oeuvres that were continuously tray passed with a bar offering all delicious libations. Needless to say, a spectacular sunset was enjoyed by all before they transitioned to the Agua Bar. A dedicated golf cart for the couple bearing the sign "Just Married" in white and blush waited close to Turtle Beach for their grand entrance. 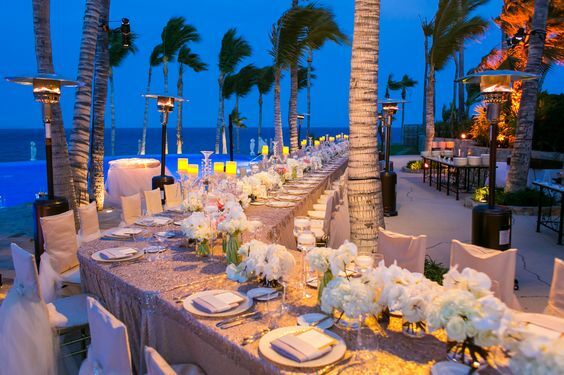 Thank you to our Partners: Venue: One and Only Palmilla Flowers: Elena Damy Rentals: Del Cabo Production: Victor Valdes Guitarist: Alonso Jazz quartet Reverend: Rodrigo Photo/video: Alec & T Planning and design: Nikki & Madiha Khan Exquisite Events Stay tuned for the reception and after party in the upcoming Friday! This is our third blog on people in the industry we continue to draw inspiration from (#1 Radha Arora and #2 Grace Ormonde). Today, we are featuring Youngsong Martin, founder of Wildflower Linens. Nikki and Young have been friends for many years and it is our honor to feature Nikki's friend and someone she draws inspiration from on our blog. Youngsong Martin is the dynamic fashion designer and entrepreneur who propelled her high-style rental firm Wildflower Linen into prominence in the domestic and international special-event industries. 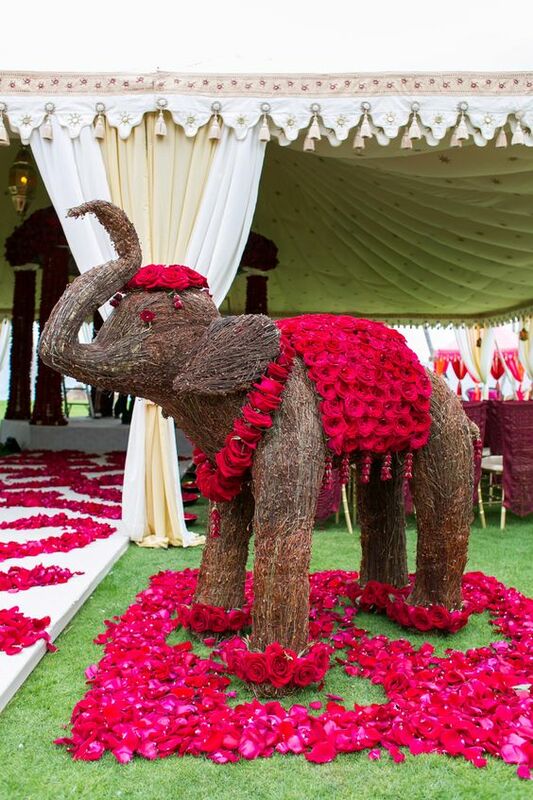 Her full-service rental company has since redefined the special-event linen field in terms of style, glamour and customer care while becoming a prestigious provider to clients nationwide and abroad, for functions of all sizes, budgets and occasions. 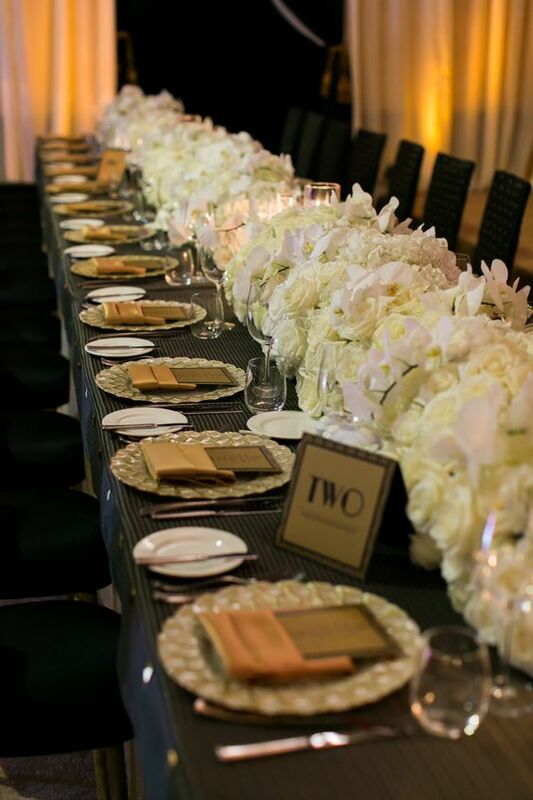 Today, Wildflower table linens and chair covers are sought after by everyone from discriminating brides and noted event planners to acclaimed designers and celebrities — by any party producer looking to add the utmost in style and elegance to a function’s tabletops and place settings. EE: How did you get started with Wildflower Linen? YM: It was an accident really. With my textile and fashion design background, my niece asked me to help with her wedding. When I started looking for fashionable linens to design her wedding or lack of, I realized I needed to create something myself. Seeing the need for a niche market, I decided to leave the apparel world and start a designer table linen and chair cover rental company. After 16 years, here we are today! EE: What did your first big event look like? 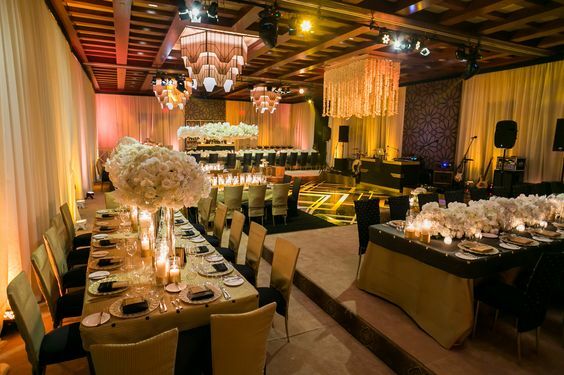 YM: I helped design and throw a huge party for an Orange County socialite. We brought out Placido Domingo for it too. 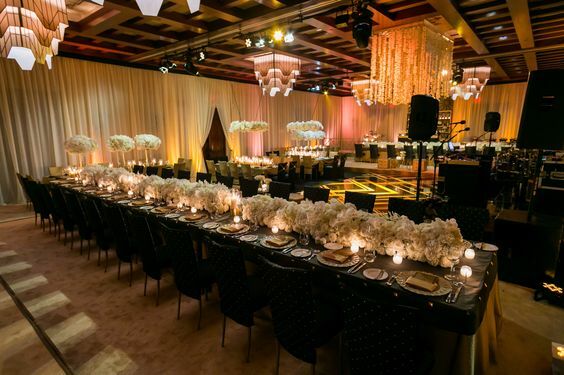 From lighting and drapery to amazing florals and food, it was just so wonderful to be able to produce something of that magnitude for my friends and peers. EE: What does a typical work day look like for you? YM: There's really no typical work day for me. It's always unpredictable and there's always something going on. If I’m not at a meeting with a client or industry partner, I’ll start the day in company meetings with my different departments to discuss current projects, overall goals, etc. If there's one thing that's consistent, it's that I open social media in the morning to read about how the world is doing today. Russia, Korea, England, it's such a small world now.